N119 is an "H II region" in the LMC. The most remarkable characteristic is its pronounced spiral shape that is reminiscent of a barred spiral galaxy. 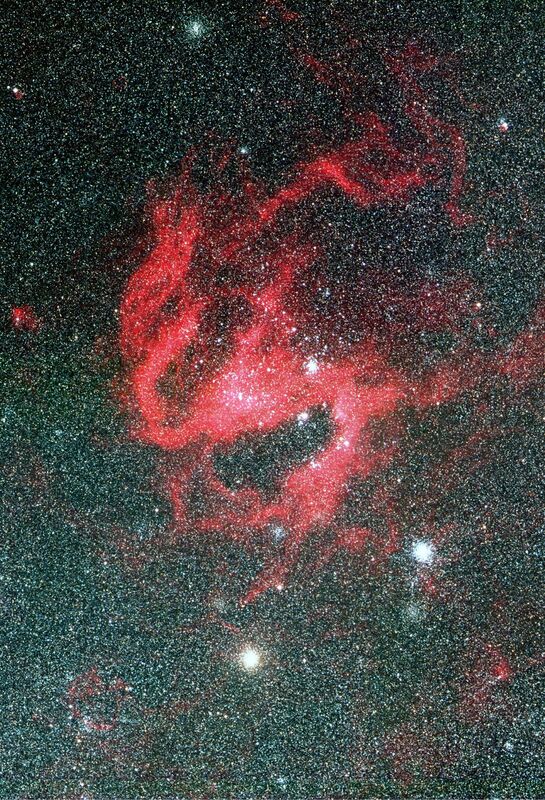 It is quite large, about 400 x 600 light-years, and it is situated at the northern side of the stellar bar of the Large Magellanic Cloud, near the centre of rotation of the neutral hydrogen in this galaxy. It is this bar that is responsible for the much higher star density in the lower half of the full-field photo.